Moog synthesizers helped revolutionise music. 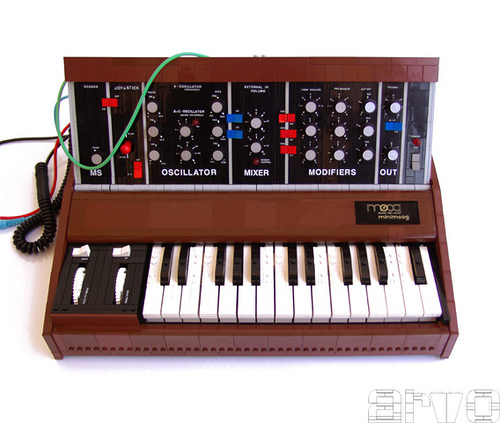 The Arvo Brothers LEGO MiniMoog captures the retro futuristic look of these iconic instruments in an incredible way. Fabulous. EDIT: In my haste to blog this I completely missed (as pointed out in the comments) that there is actually a working MIDI interface in this. Which makes it 198.2% better. You guys forgot to mention that this is a fully functional MIDI controller(that can play music)! That takes it wayyy over the top. Too awesome! WOW! :O At first glance it don’t looks like LEGO. It looks like real one!